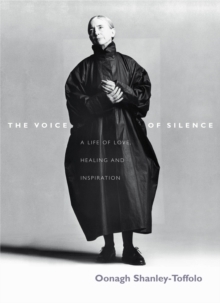 The Voice of Silence is by an Irishwoman who has had an extraordinary life. Oonagh Shanley-Toffolo was brought up in 1930s rural Ireland where her father initiated her into the healing arts. At the age of 16, she entered a convent where she trained as a nurse, and was sent to India to look after the elderly (and knew Mother Teresa). Here, she felt it was the young, rather than the old, who needed more help and so she left her order and trained in midwifery. Later, in Paris, she was asked to nurse the Duke of Windsor just before he died - and many years later was introduced to Princess Diana and became her weekly confidante. In between, were bouts of serious illness, studying acupuncture in China - and being photographed by Snowdon. The Voice of Silence is the life story of a very unusual woman who has learned far more than most from all the remarkable things that have happened to her. It is also the author's thoughts on healing, spirituality and love - and how closely the three are intertwined. Full of feeling, poetic vision and insight, this book cannot fail to touch the heart of the reader, and inspire.